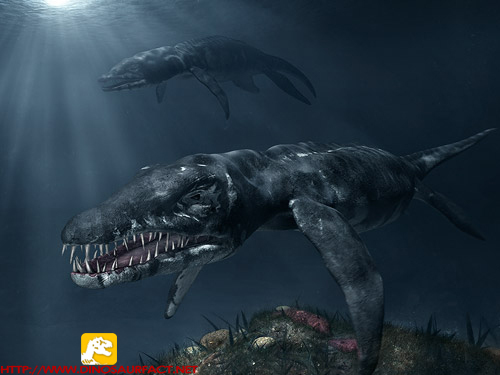 The Liopleurodon was the biggest reptiles of the Jurassic seas. It was massive with the length of 50 feet. It was probably the biggest and most powerful meat eating creature that ever existed. Mangled fossils were found of the other sea dinosaurs were traced to be a victim of the Liopleurodon because the teeth marks matched the size of their teeth. They had a short neck and a very long jaw with rows of teeth. It is said the because of the size and strength of its jaw it could hold a medium sized car in its mouth and break it in half.